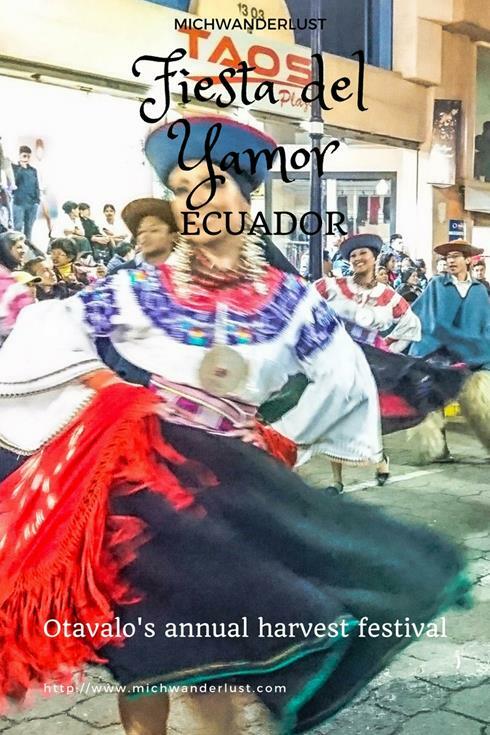 The Fiesta del Yamor (an indigenous harvest festival) is an annual festival held in Otavalo over the first two weeks of September. 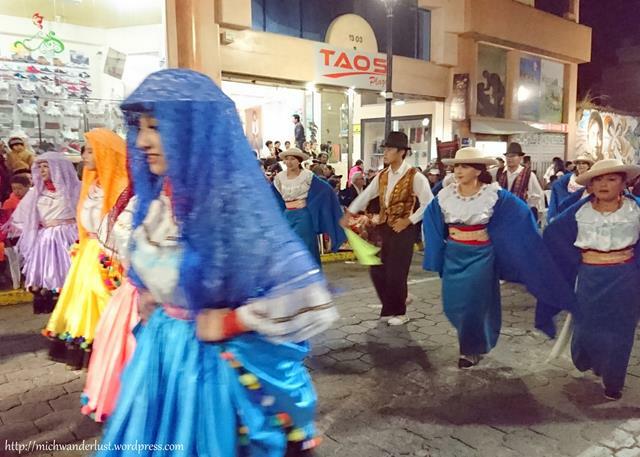 It draws tourists from all over Ecuador, and if you schedule your visit to Otavalo to coincide with it, you won’t regret it. 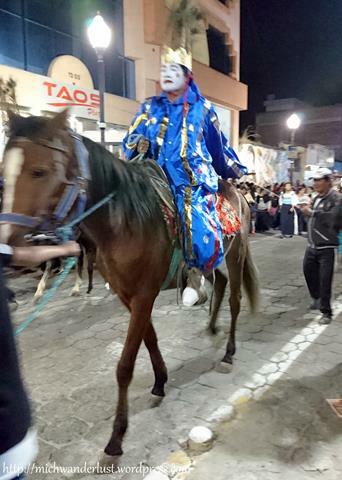 This year (2016), the Fiesta del Yamor festivities kicked off on Friday night (2 September) with a grand parade, called the Pregón. 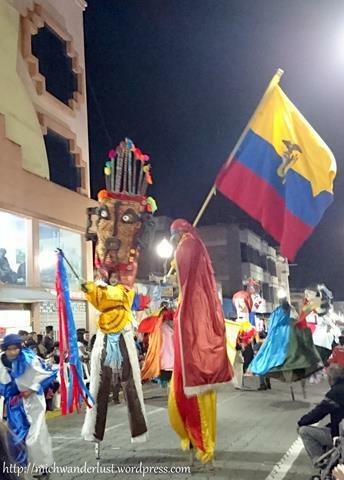 It features lots of music and dancing by different groups. I really enjoyed listening to the traditional indigenous musical instruments. 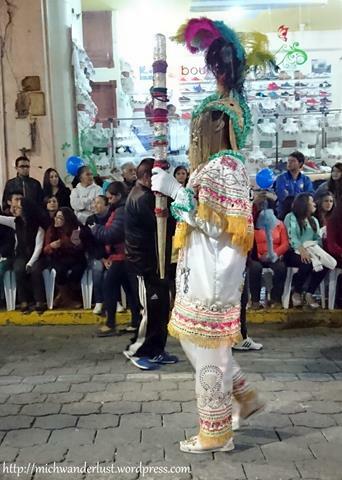 I’d heard them practising earlier in the week, but I hadn’t realised that it was a rehearsal for the Pregón until I heard it again during the parade! 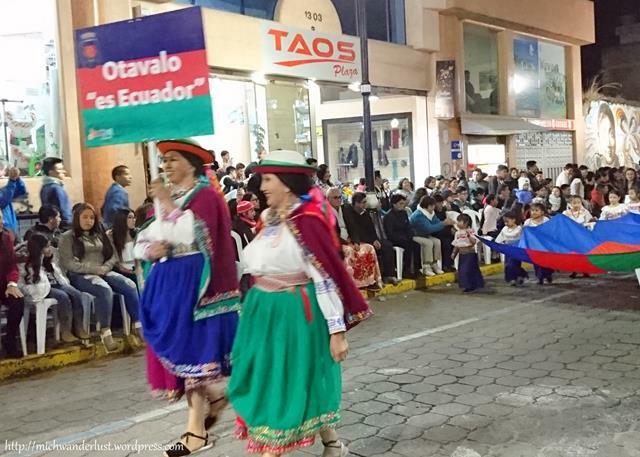 There were many visiting delegations, including those from the next canton (Cotacachi) to all the way from Bolivia (actually the Bolivian Embassy in Ecuador). If the aim is to get people interested in visiting, mission accomplished! 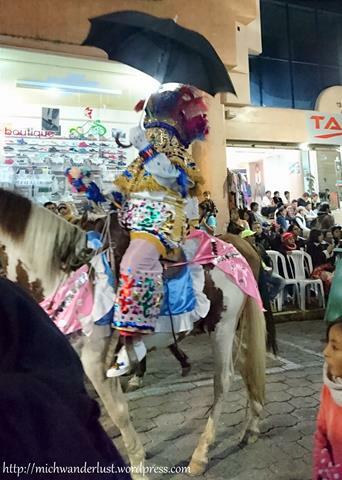 I loved seeing such a huge variety of traditional costumes. 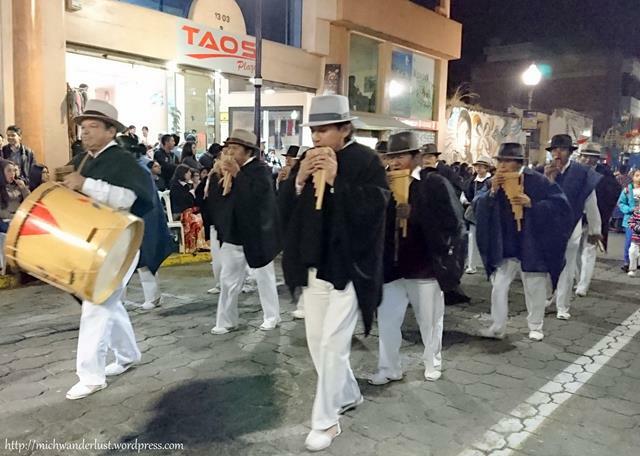 Every now and then one of the performers would yell, “Otavalo!” and the crowd would respond, “VIVA!” The feeling of community and solidarity filled the air, and I felt like part of them. The animals totally stole the show, I think! Not sure whether these are llamas or alpacas, but I think they’re llamas. Does anyone know? There was one boy riding a horse who got it to rear up! He was in impressive control of the horse, but some of the spectators got a shock and thought that the horse was acting up. I’d have thought so too, if I hadn’t noticed him tightening the reins with that “game face” on. 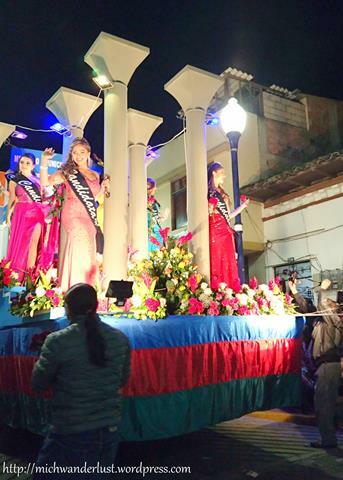 Another popular highlight of the Fiesta del Yamor is the candidates for the title of La Reina (Queen) of Otavalo. They passed through on these floats and threw roses into the crowd while waving very regally. From what I understand, it’s essentially a beauty contest. The competition was held the next day, Saturday (3 September). The highlight for me, though, was when one of these dancers got me to dance with him! Maybe he noticed me taking a lot of pictures, or maybe he saw that I was obviously a foreigner. Whatever the reason, he stepped out of formation and offered his hand to me. 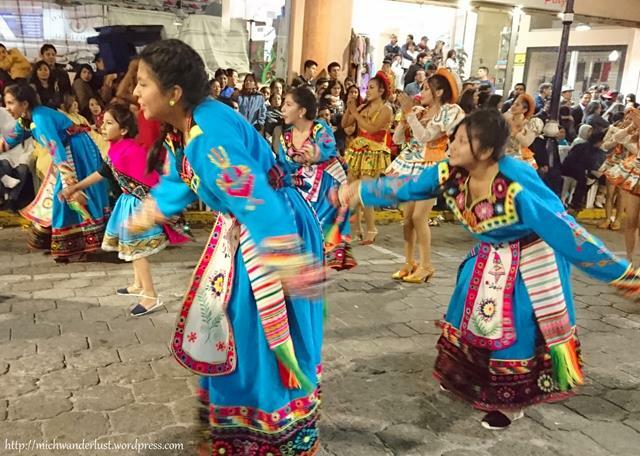 My host family, seated next to me, laughed and shouted “Go on!” So, very uncharacteristically, I found myself dancing with a stranger in the middle of a parade. The music and the dance were totally unfamiliar to me, but after a while I sort of melted into it. My dance experience has been almost completely limited to Lindy Hop, and I haven’t danced in a long time – so I was really out of sync at first. But then muscle memory kicked in and I remembered my form. After that, it became much easier to follow! I know I was moving in a very distinctive Lindy Hop fashion though. It’s just instinctive now. Once a swing dancer, always a swing dancer? Arrive early to get good seats. There are chairs neatly lined up, but some seats are reserved, or you might have to pay to rent them. Be aware that it gets significantly colder as the night wears on, and dress accordingly. Don’t worry about going hungry – there are lots of street vendors selling everything, from snacks to balloons to colouring books for children! 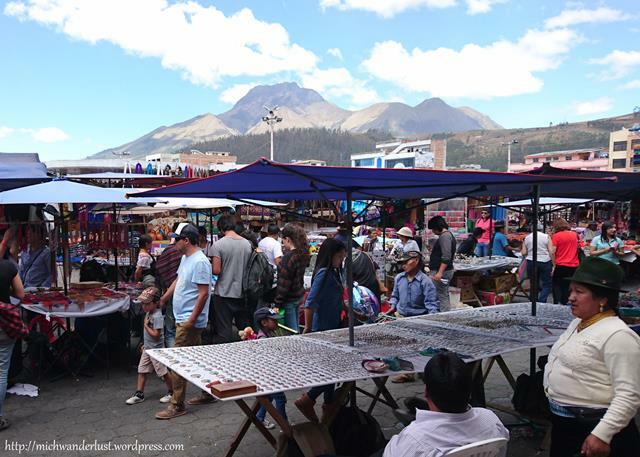 It would have been remiss of me not to check out what practically all the tourists here come for – the Saturday indigenous market. Here, you can find a lot of stuff – woolen goods, tapestries, paintings, musical instruments, jewellery, magnets and other knick-knacks ideal for souvenirs. I also saw lots of t-shirts and emoji cushions! It’s a big plaza and you could easily spend ages here browsing, I think. I have no idea how they’re priced, though. I don’t want to lug around anything that’s not strictly necessary, so my purchases are on a strictly need-to-buy basis. Will definitely get some stuff before I return to Singapore, though! I did buy something near the market, though – a slice of passion-fruit pie with ice cream from The Pie Shop! 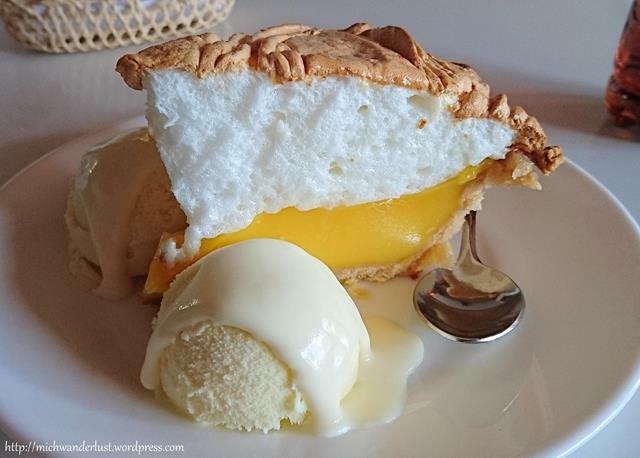 The white part is like very foamy egg white, and the sour passion-fruit went perfectly with the crust and the ice cream. This cost $4 ($2 without the ice cream), so it was a little pricey but a nice treat. The shop is located along the side of the plaza where the market is held, so you can’t miss it if you walk along the sides. 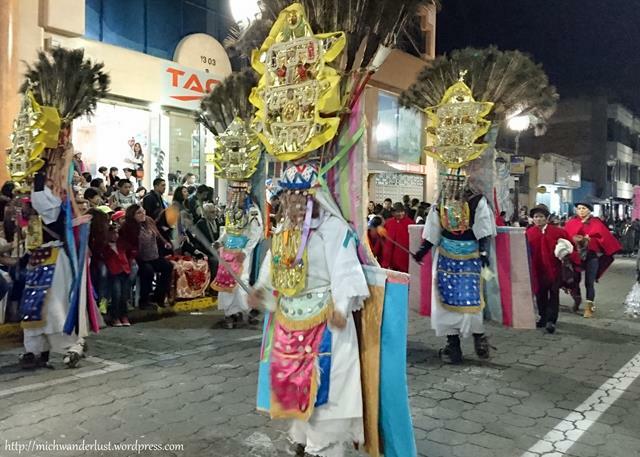 I had largely the same schedule with Mundo Andino in Otavalo as I had with Yanapuma in Quito. But the former was a lot cheaper – $315.50 compared to $484! I’ve been told how much more expensive things are in Quito, and this is just an example of that. Of course, there are other factors to take into consideration when deciding where you want to study Spanish. 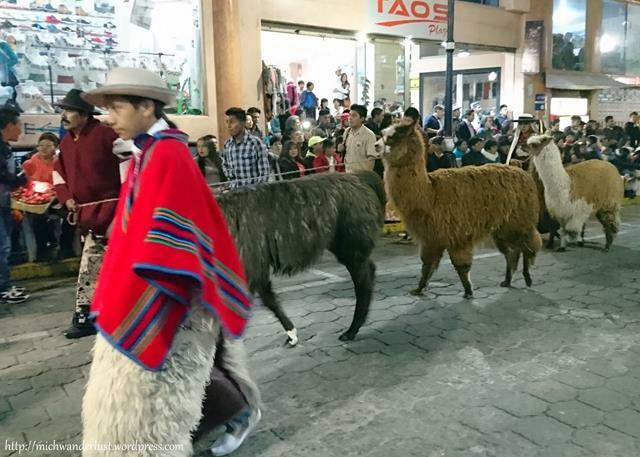 One advantage Quito has is that there’s just a lot more to do and see. You definitely won’t get bored! 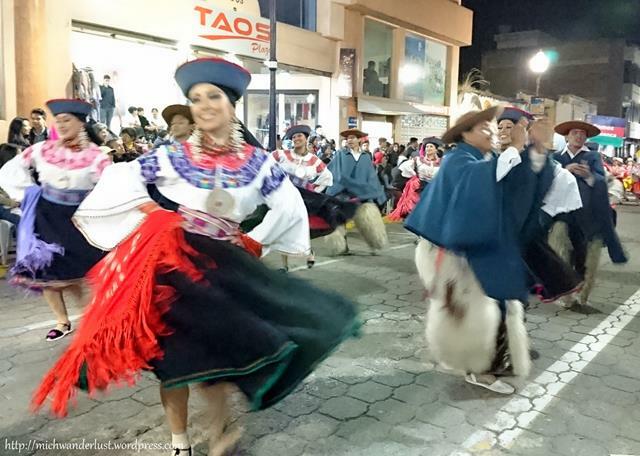 That said, I’ve spent an entire week in Otavalo without getting bored. And I still have a number of places that I want to visit (like Cuicocha Lake). But that’s also partly because I’m quite happy chilling out at the house – I get back before sun-down and don’t generally spend nights out on the town. I imagine more active travellers would get bored faster. 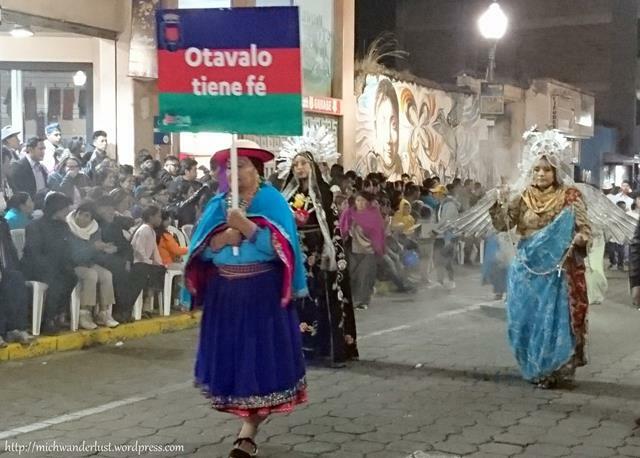 In summary, Otavalo is smaller, quieter, cheaper and (feels) safer. For me, those are all plus points, but not everyone is going to feel the same way. 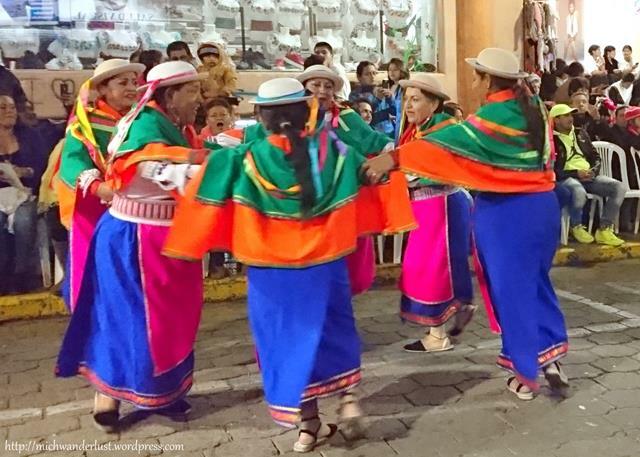 Whatever it is, I don’t think you’ll regret learning Spanish in either Quito or Otavalo! I’m now going on to a remote part of the Intag valley – a village called Cuellaje which is about 3 hours by bus from Otavalo ($3.25). I use the Internet so much in my daily life, it’s hard to imagine being without it for up to a week at a time. Let’s see how it goes!